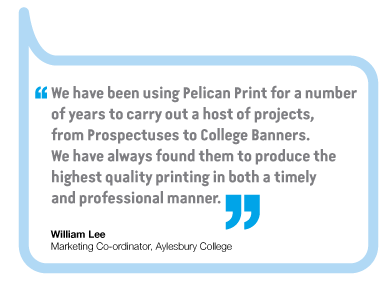 Pelican Print is based in Aylesbury and have been providing printed materials to customers all over the UK since 1998. All our main services are on site, which means we have full control and are able to provide a very reliable service, from start to finish. We are here 24 hours a day, 6 days a week and, with the help of about 30 staff, can respond quickly to your needs and make sure your project runs smoothly, however urgent your deadline. To give you the best service, we listen carefully to what you need and keep you up to date with what’s happening. 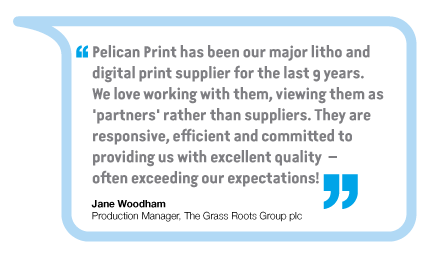 If you’re an experienced print buyer, we’ll be happy to talk to you about the capabilities of our kit and what’s happening in our new digital suite. If you need a little more guidance, we’ll be pleased to help. You can expect us to deliver a good job, on time and without stress: we have efficient, modern equipment and reliable processes. But we also have excellent staff who will be happy to suggest how to get the best results, advise on what will work (and what won’t), keep their eyes open for mistakes and reassure you if you are worried about anything. You can also expect value for money. You’ll find our pricing is competitive, but realistic. We’ll never compromise on quality, but we will help you to save money where we can. Some of our clients have been with us since we started. So we reckon we must be doing something right. 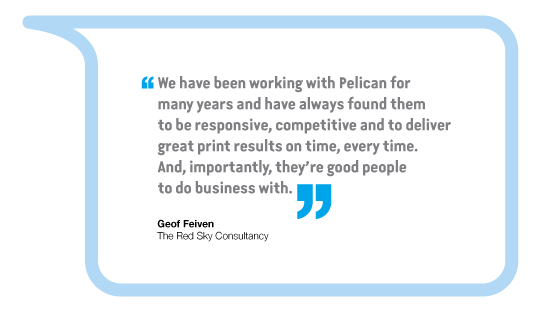 But don’t just take our word for it, see what our clients say.